Seeing the city in a different way–even after living here for 15 years, is always at the top of my list. 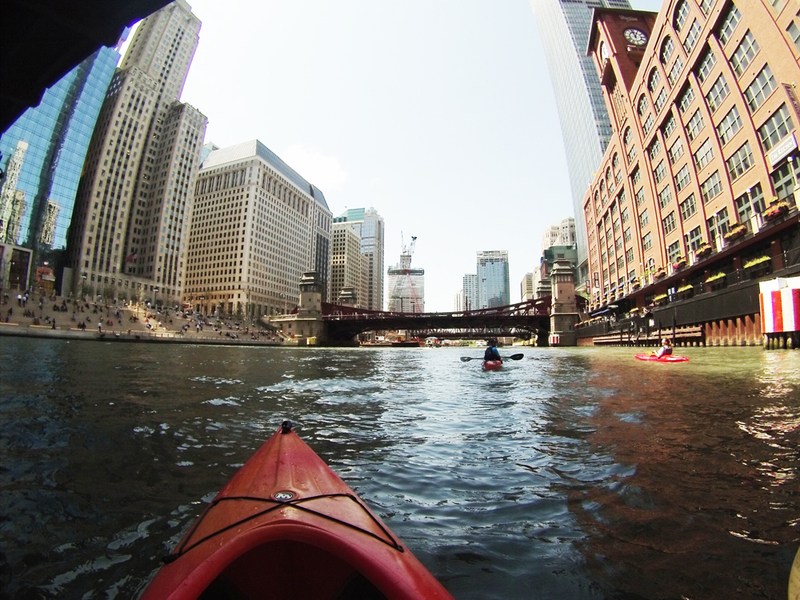 Kayaking downtown, weaving through the Chicago River and being up close to so many iconic buildings has been a long time dream. 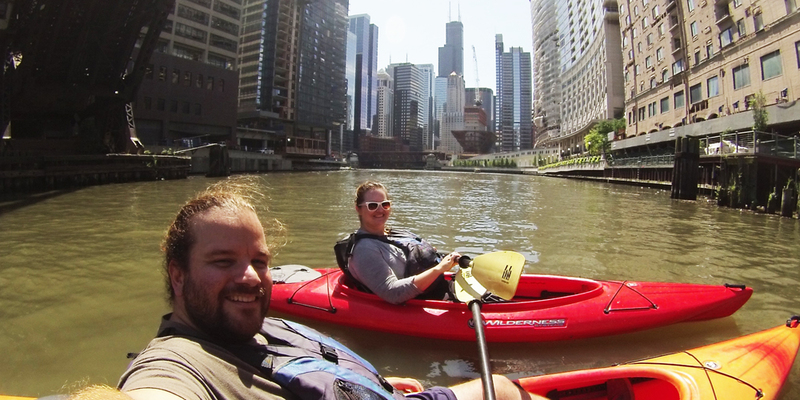 This time we had the opportunity to enjoy an architectural tour with Kayak Chicago and I can tell you—I will do this again. It was exciting to see the city in a totally new way—paddling my way down the river. The morning we went, it was cloudy and a bit cool and windy, but as you know, don’t be fooled by Chicago weather. After taking off from the docking pier by Diversey Ave., and just 15 minutes into the tour, we had bright, sunny skies. Plan about three to four hours for the entire experience and we recommend bringing some snacks. In case you forget, Kayak Chicago sells them too and zip bags for your phone is free. This experience might intimidate some, but to be honest it was an exiting and unique way to see the city. 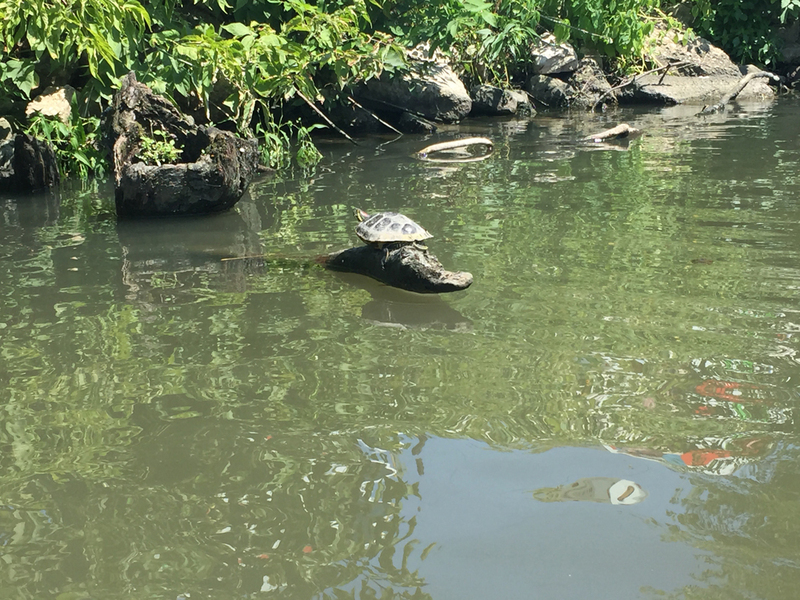 You’ll see the Chicago River from a totally different point of view, plus it’s a perfect idea for families with teens, friends or couples. Paddling against the current could be challenging, but I saw it as an opportunity to make conversation and help others. While reaching meeting points during the tour to discuss architecture, make sure you get great photos as you will find perfect views of the Chicago skyline and buildings. Our tour guide was great, made interesting comments and mentioned things that I never knew. On the way back from the busy Chicago River traffic and tall buildings, you might be surprised that the east side of the Goose Island canal looks and feels more like a forest reserve with turtles, plenty of birds and vegetation is very abundant here—it almost feels like it isn’t Chicago anymore. 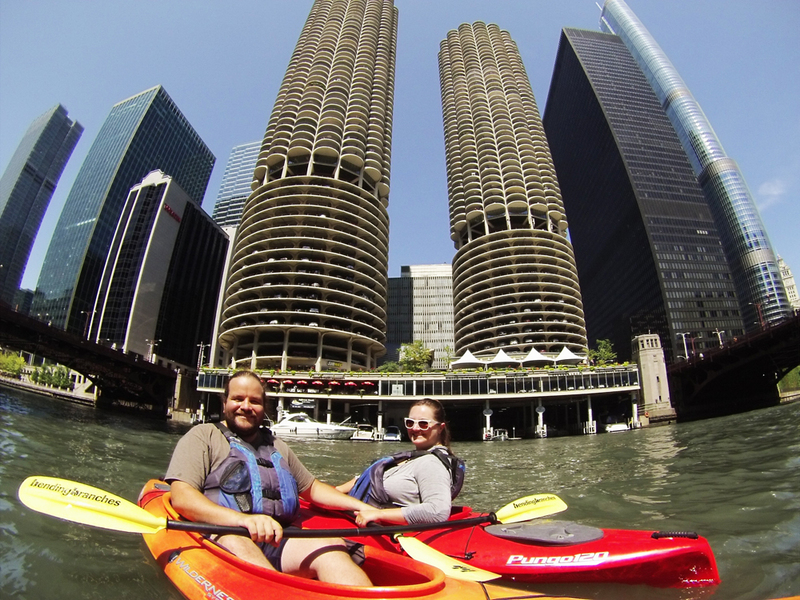 Kayak Chicago offers the architectural, fireworks sunset tours, plus you can experience kayaking along Lake Michigan from Montrose or Belmont Harbor through their rentals. 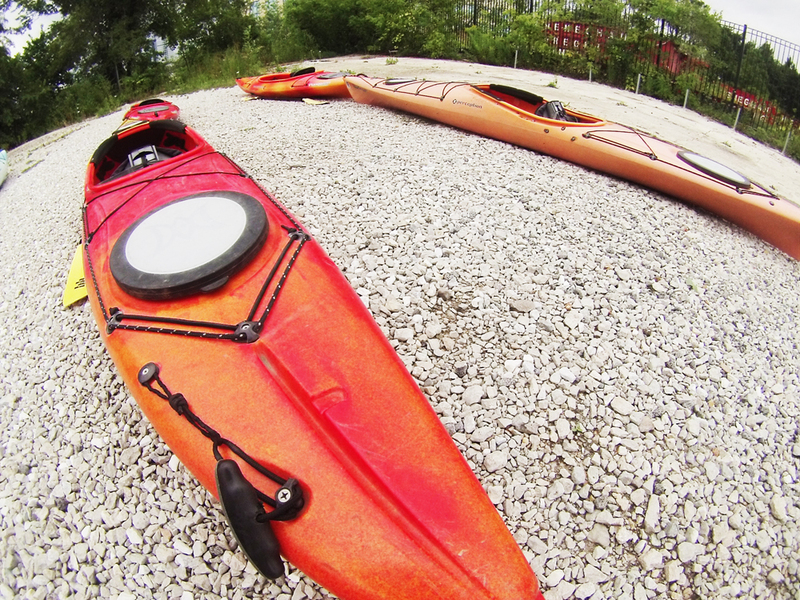 For more information on Kayaking in Chicago, please visit Kayak Chicago.